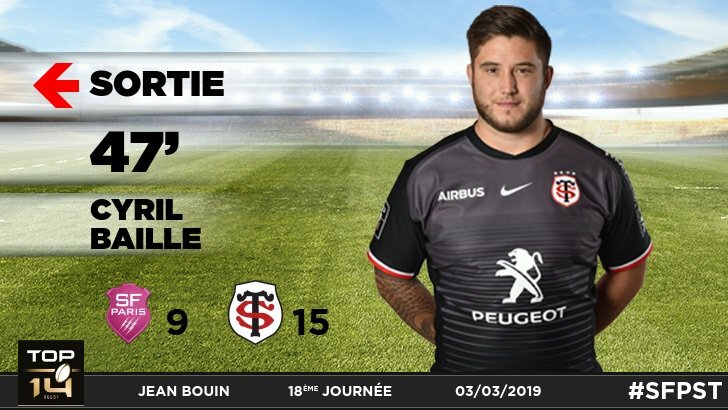 Toulouse decide to make a substitution, with Pierre Pages getting some game time. 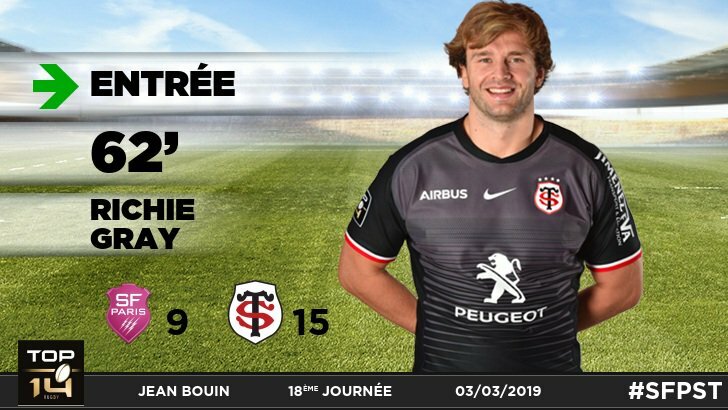 Toulouse decide to make a substitution, with Sébastien Bézy being replaced. Zack Holmes fails to add the extras. 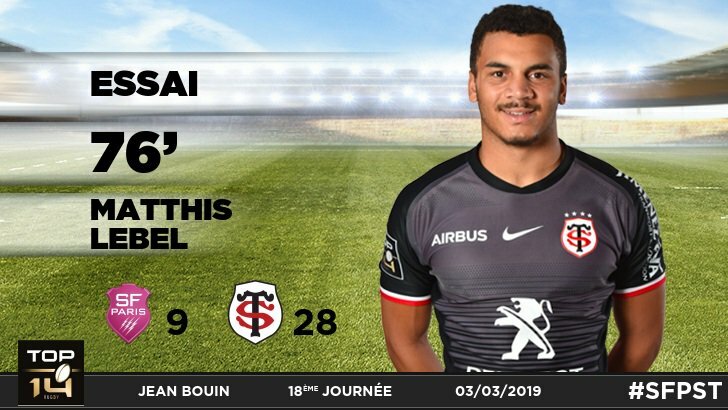 Matthis Lebel scores a try for Toulouse. 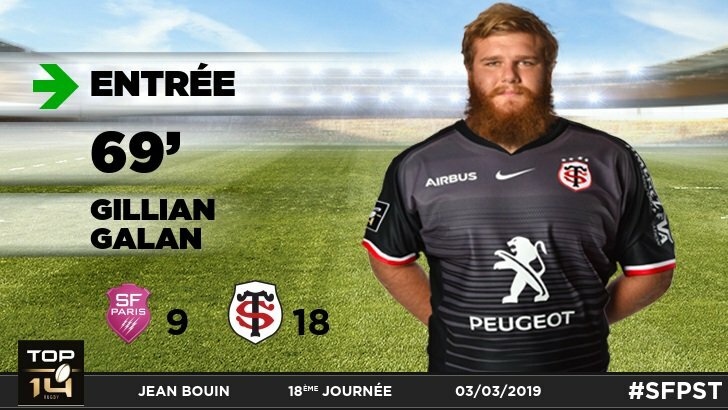 Toulouse make a substitution with Theo Belan coming on. 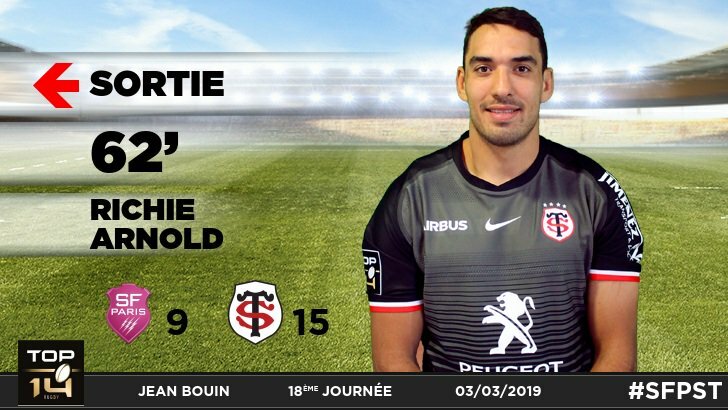 Toulouse make a substitution with Sofiane Guitoune coming off. Sébastien Bézy misses the conversion. 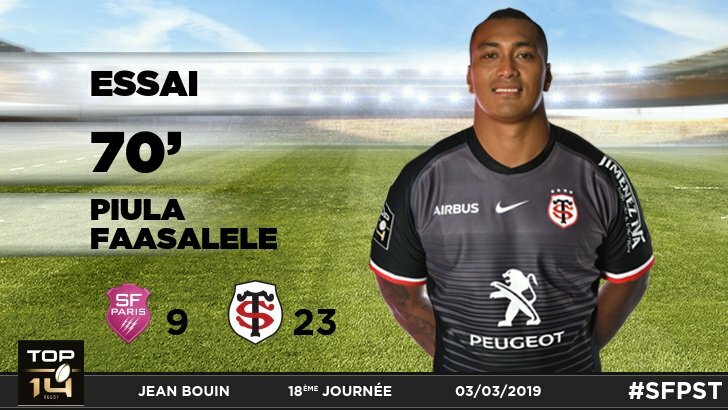 Piula Faasalele scores a try for Toulouse. Toulouse sub Gillian Galan comes onto the field. 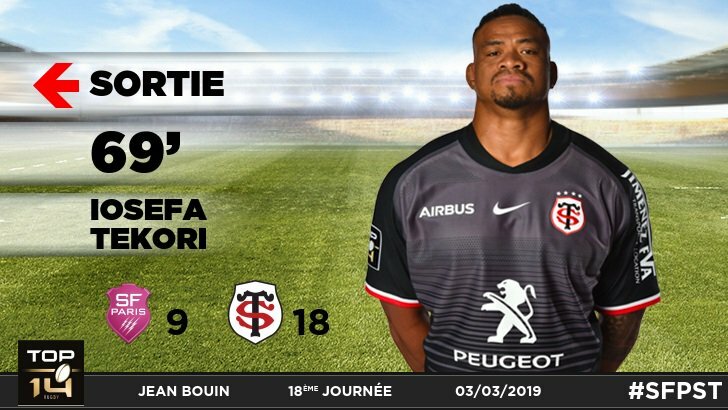 Joe Tekori departs for Toulouse. Djibril Camara comes on for Stade Francais. Morné Steyn leaves the field. Piet van Zyl comes off. 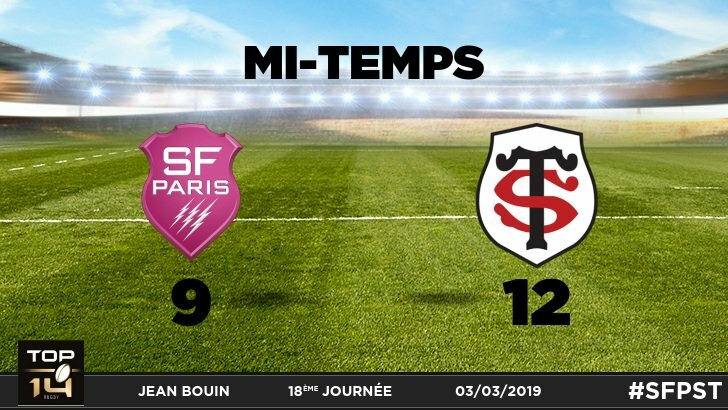 Stade Francais decide to make a substitution, with Charlie Francoz getting some game time. 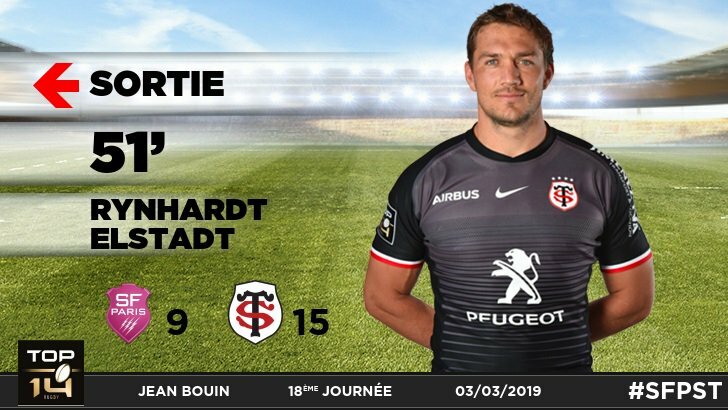 Stade Francais decide to make a substitution, with Willem Alberts being replaced. 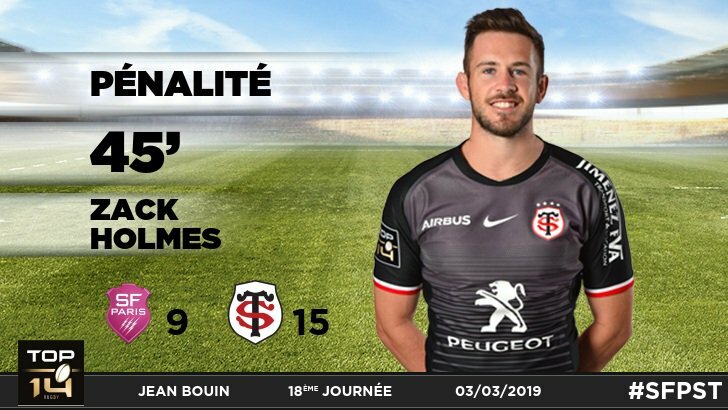 Zack Holmes adds the points for Toulouse. 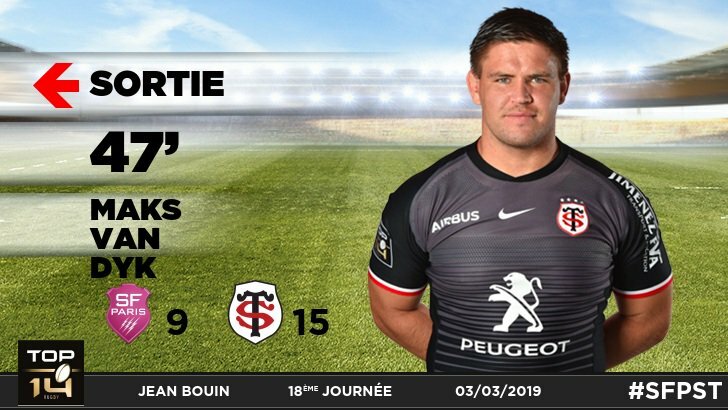 Toulouse make a substitution with Richie Gray coming on. Stade Francais sub Jules Plisson comes onto the field. 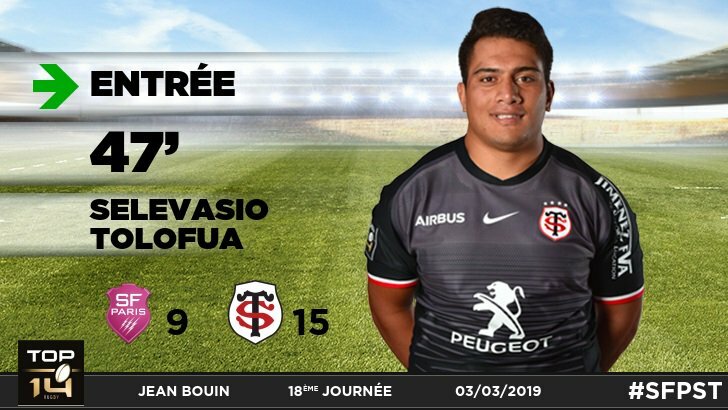 Nicolas Sanchez departs for Stade Francais. Zack Holmes steps up to take the penalty goal but doesn't make it. Denis Coulson comes on for Stade Francais. 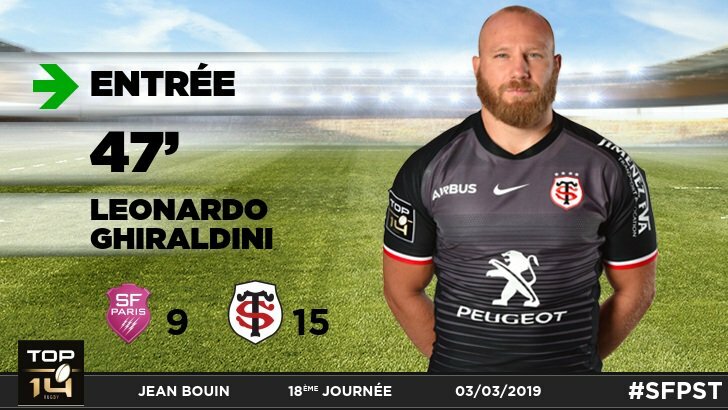 Mathieu De Giovanni comes on. 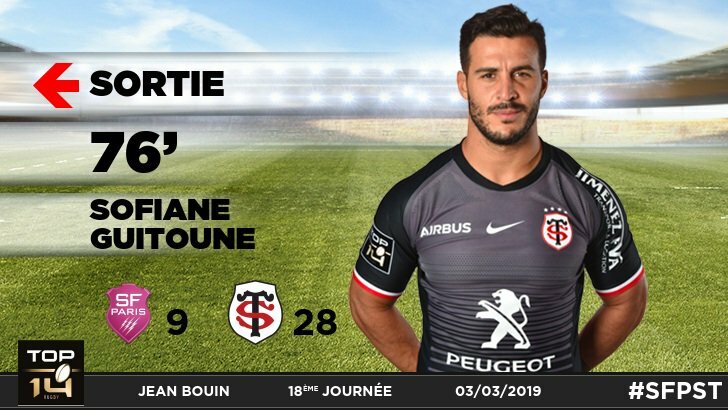 Toulouse decide to make a substitution, with Clement Castets getting some game time. Toulouse decide to make a substitution, with Cyril Baille being replaced. Toulouse make a substitution with Guillaume Marchand coming off. 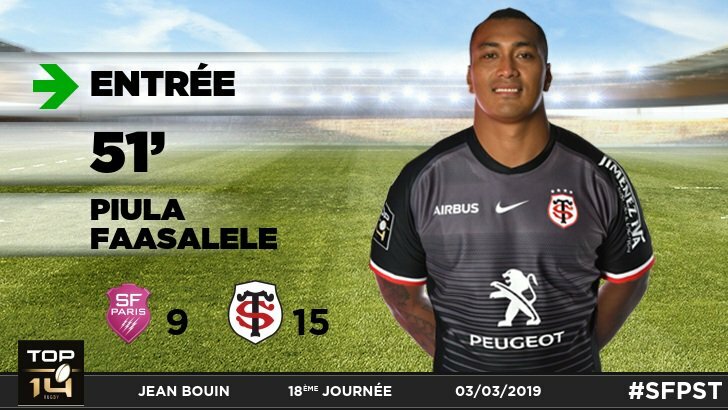 Toulouse sub Paulo Tafili comes onto the field. Maks van Dyk departs for Toulouse. Zack Holmes does the business as his penalty goal attempt goes over. 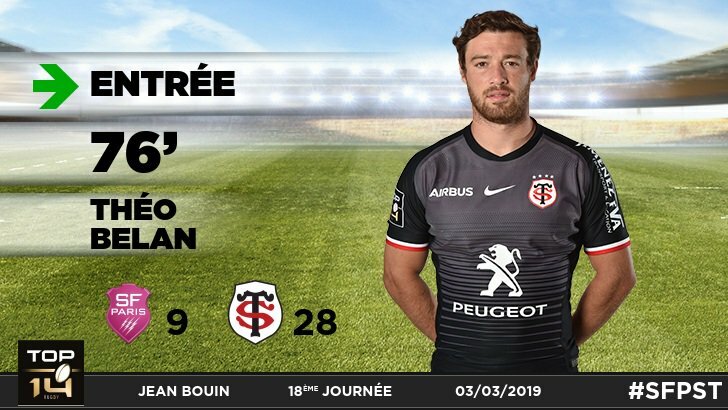 Sébastien Bézy comes on for Toulouse. Pierre Pages leaves the field. Penalty goal attempt from Zack Holmes has the distance but not the direction. Rynhard Elstadt (Toulouse) is shown a yellow card. Lucas Tauzin scores a try for Toulouse. Conversion attempt from Zack Holmes has the distance but not the direction. Gillian Galan scores a try for Toulouse. Alexandre Flanquart (Stade Francais) is shown a yellow card. 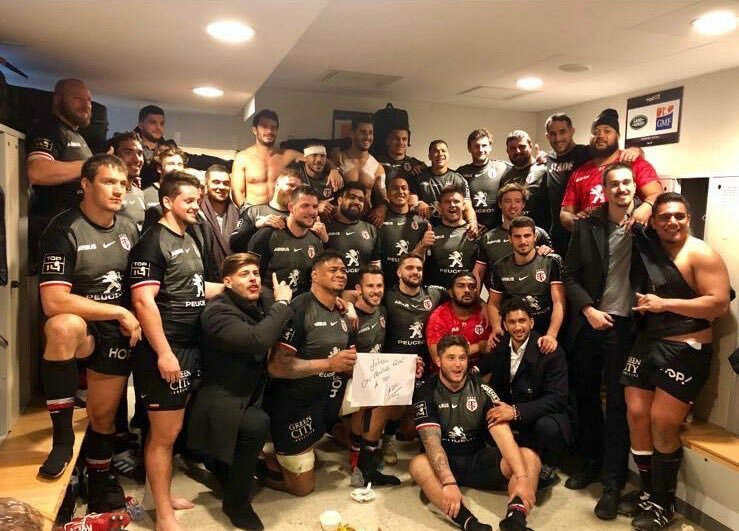 RT @greglamboley: Que ça fait plaisir de voir le @StadeToulousain à ce niveau .👏👏👏💪🔴⚫️👍. 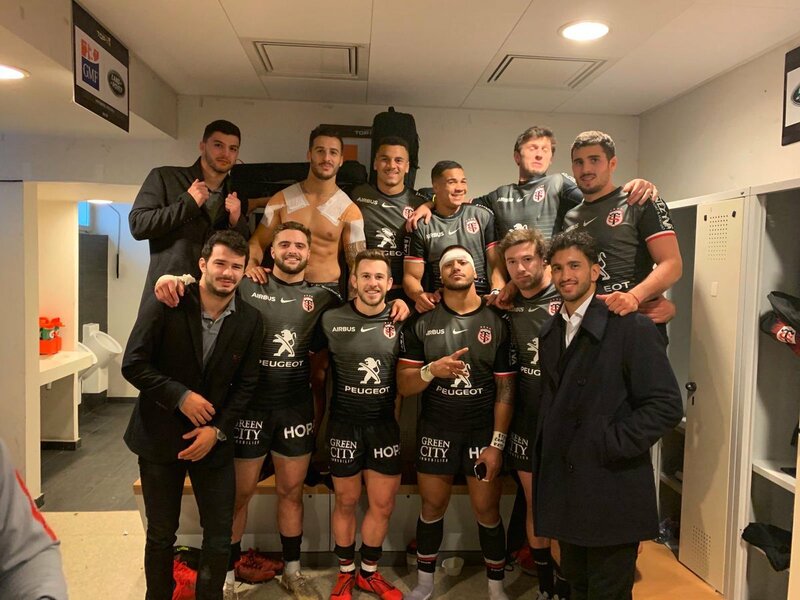 Chapeau les mecs .